In a more and more competitive industry, the pressures on the management level are ever-growing, particularly around how to save time and money while keeping safe. Harnessing technology by way of telematics and other systems will dramatically change the way you spend your time, and of course maximize productivity and safety. Introducing cameras to your construction site and equipment is one of the latest trends in the industry, and with good reason. Below, we highlight the top five ways this piece of technology will aide and perhaps even revolutionize your project site and how your company interacts on a larger scale. There is no comparison for being able to monitor your construction site in real-time from wherever you are, especially when each individual involved in the project can also see the same image simultaneously. As opposed to expending time and money traveling from jobsite to jobsite to appraise progress or even troubleshoot, webcam technology allows you and your team to continuously check in on the development, monitor steps taken by crew more carefully and fairly and even edit the footage into a documentable time-lapse film for investors or clients. Having a bird's-eye view of projects and sites will also enable you and your team to make faster decisions which are better informed. Tracking every phase of construction can be made simpler through using a webcam device and there are even professional webcam companies which offer marketing tools to complement your project website. Think of HD images taken directly at your site, or broadcast quality 4k videos showing actual on-the-job action, and the competitive advantage you will gain by advertising these on social media. Camera equipment on your construction site can double up on your marketing efforts; through embedding live videos in a page accessible by the public, you can drive some serious traffic to your website. Onto more serious matters: In the U.S., the majority of fatalities occurring in certain construction zones involve a crew member being struck by construction equipment. Furthermore, 50 percent of the deaths involving construction equipment happen while the machinery is backing. 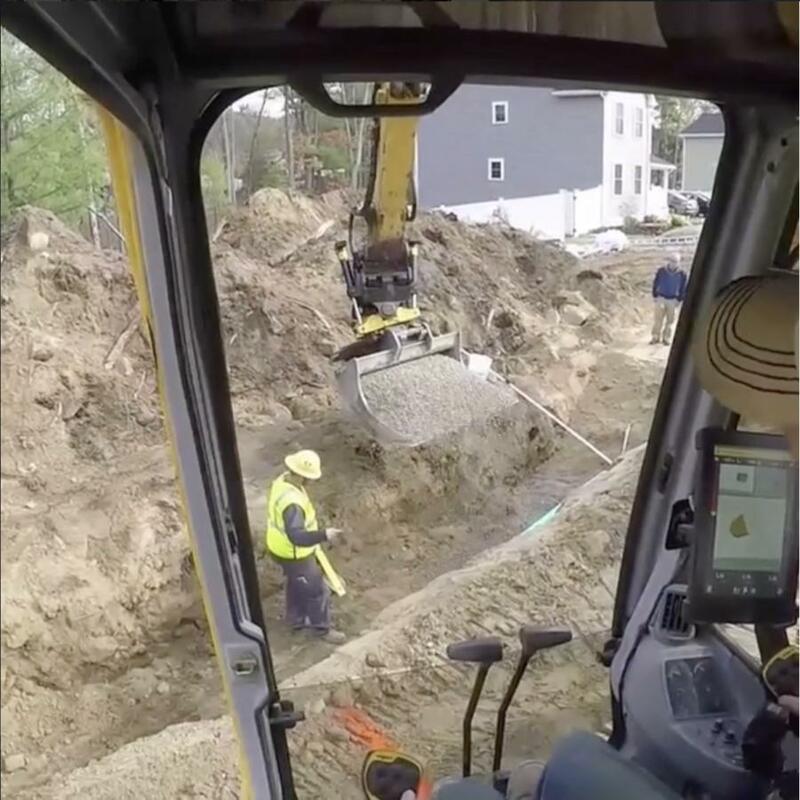 As such, the growing use of camera systems in heavy-duty construction equipment is largely explained by the necessity to improve safety onsite. Visibility for large and mobile equipment remains a major concern for both equipment manufacturers and construction companies as the sheer size and complexity of most pieces of machinery means workers don't have a 360-degree view. Using a rearview camera, however, will enable your crew to back up with confidence given the large screen in front of them displaying a clear view. Perhaps there has been a spate of criminal activity recently? Unfortunately, construction sites, which are difficult to secure, are vulnerable to thieves and vandals, and the damage perpetrators leave you with can mean serious downtime and revenue loss. Many companies are choosing to install camera systems within their project sites to deter any troublemakers as well as recording any wrongdoing for police evidence. As long as you have decent internet bandwidth, there is no reason why you won't be able to enjoy the full benefits of a camera system on your construction site. And furthermore, you could even request solar-powered cameras to avoid adding to your carbon footprint. Camera systems can also easily integrate with your other software programs and end up complimenting each other. You will end up with a fully integrated and efficient construction site where everyone is more informed in real-time. As the construction industry gets more and more competitive, you will need to innovate to remain relevant; this not only applies to your marketing strategies, but how you interact with your team and make decisions. Investing in camera systems for your site and your equipment will reduce the management level's travel time and improve the accuracy of information from onsite. The technology could also be harnessed to generate more traffic to your website. Lastly but most importantly, adding cameras to your individual pieces of heavy-duty machinery will help improve safety among workers given the ongoing concern for employee being around backing equipment.